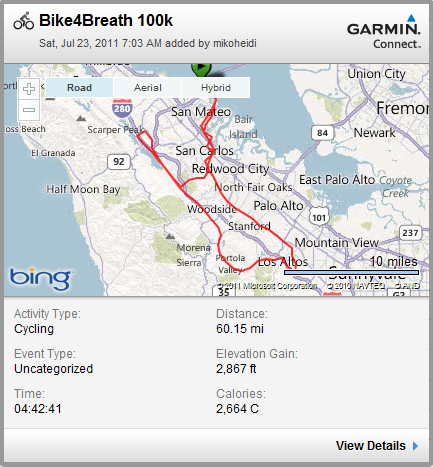 Bike4Breath 2011 was a wonderful ride and a great time. 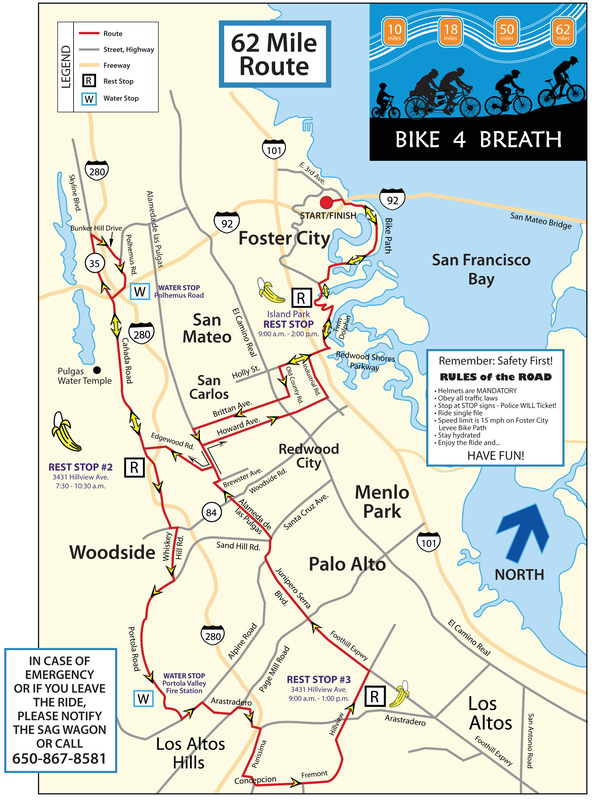 The route (below) took us from Foster City to the Crystal Springs Reservoir, Arastradero Preserve, by the Stanford Campus and back to Foster City. This is our favorite charity tour each year. We hope you will join us next year! 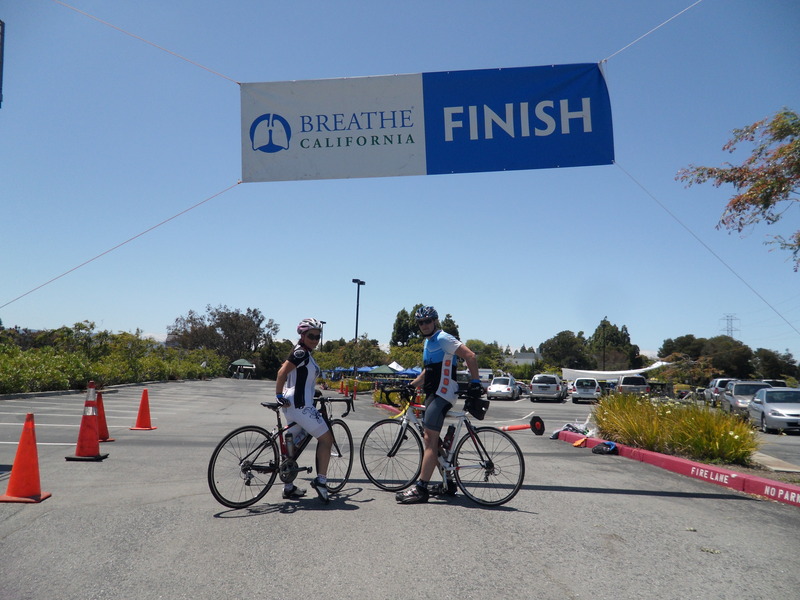 A special thanks to Nicole and Kenneth from Breathe California who are an integral part in making Bike4Breath and all of the other Breathe California events work so well!